It is easier to get Australian PR with 70 points based on latest draw. With Masters degree, good English score and work experience in Australia’s skills list, you can get Australia’s residency within a year. Minimum points to apply for Australia PR SkillSelect 189 (points based) or 190 (State Sponsored Visa) is 65 in 2018-2019. Open Australia Points calculator in new window. Apply as early as possible before you age out! Nobody needs old work force. The score has to be in all i.e. Speaking, Listening, Reading and Writing separately unless otherwise mentioned as in case of Toefl exam. PTE is easier to score than IELTS. My notes and tips to score 79+ PTE Academic in a week. Education and Employment has to be verified by Assessment company to claim points. How to file ACS Assessment. Age should be less than 45 years. English Test Score should be at-least the ‘Competent‘ – basic score. Job Occupation code should be in the same occupation list as primary applicant list. Use the calculator given above to calculate spouse skills points. Employer sponsorship is optional in Australia and you can directly file for permanent residency unlike US, where you need an employer to file for your green card. If you have the required points, you will be selected and will get a PR even before you travel to Australia. Applicants with 65+ points get the invitation to apply pretty fast. Once you have applied, you can expect to get the PR within 5-8 months. If you are currently working on H1B in US and fed up with long waiting for green card, Australia is a good option. 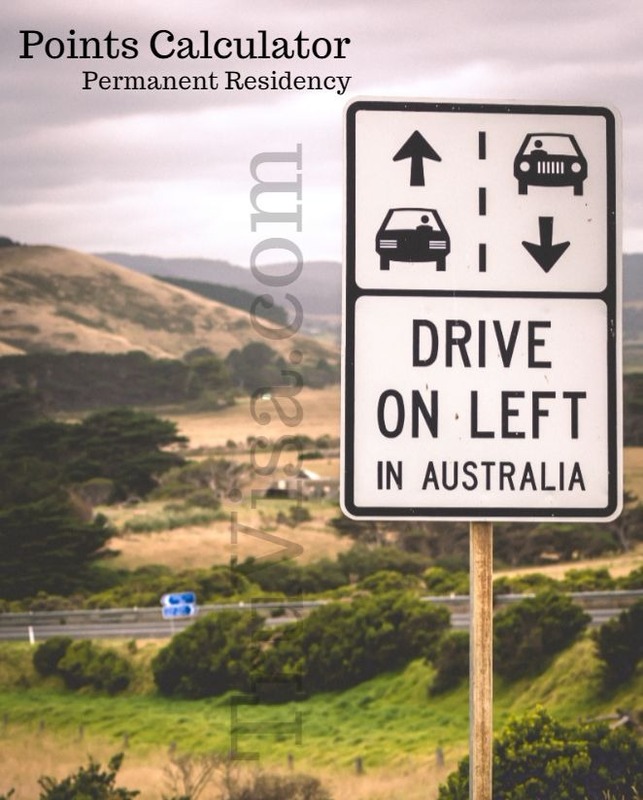 They give you Permanent residency (Australian Green Card) even before you land there for the first time! Please note that even if you move to Australia for work, your Green card application in US can stay active. Remember that Green card in US is filed for future job and your i-140 remains active. You can return to US in future if your priority date becomes current and the employer is ready to hire you. Police verification is required for all adults (18+), who are part of your PR application, from all countries where they have lived in past 10 years. How to get Indian Police certificate from Indian Embassy. How to get USA FBI Clearance certificate even if you are outside USA. Hi this is Vishnu. when we are submitting the experience certificate what are the other supporting documents which must be included reason why am asking is that, I have worked on project role in 2 companies for the last 3 years so am not able to produce the provident fund details which is a government authorization by govt of India. will that affect my pr application to get 15 points. If you are submitting the work experience letter from Employer in the correct format, then, there is no need to submit payslips or PF or any other supporting documents. Hi this is tanvi.I have applied for an eoi with 65 points for other spatial scientists (232214) as an occupation. Points breakup – age: 25 points, experience 5 points ( 3 years have been considered by vettasses), education 15 points, Pte 20 points) i do have a masters degree from Australia but it is only for 12 months of course work.. Please suggest a way to increase points for my pr application and what are the chances of receiving an eoi with 65 points. Every option to increase point is mentioned above. Please read. What are the chances of getting an eoi with 65 points for other spatial scientists. The chances are low at this time as invites are being sent for 75 point EOI based on last draw result. Okay. Thank you for your time. Can I please know ACS job code for Front-End developer? Your ASNZCO code can be ‘Web Developer’. Hi Anil, I am a physiotherapist, I am currently working in Aus with 457 visa, I will hopefully, complete my process with APC in 6 weeks. i have the option of applying independantly or employer sponsored. My question is if i file the EOI while i am in australia and has 65 points, will i get a bridging visa? and will i be able to continue practicing. I will appreciate your answer. I am in a regional town too. You may be able to get bridging visa. I have completed regular course of 3 years Diploma in Civil Engineering from Punjab State of Technical Education and Industrial Training, Chandigarh, India with 75%. I have 10years of Work Experience out of which 3 years of regular work experience in field as Assistant Civil Engineer in Construction MNC and 7 years in Punjab State as Junior Engineer. I have 20 score in PTE. My age is below 30. #Should my education in India of Diploma considered for assessing by Assessing authorities? Please use the calculator given above to find your eligibility. 1) Should I get points for 3years regular Diploma in Civil Engineering from Punjab State Board of Technical Education and Industrial Training, Chandigarh ? I completed my diploma after 10th Standard. I cannot say if you can claim the points for Diploma until you have got your education assessed by assessment agency and they say you can claim it. What is the wait period for job code software engineer 261313 with 75 points applied through 189 category.. I submitted my eoi on 21st March 2019.. at the earliest when can I expect the invite..?? You have good chance of invite in next 1-2 months with 75 points. If you are eligible for PR using above points calculator, you can get Australia PR. Just a quick question.. My skill select “Engineering Technologist” ; (ANZ.Code 233914) Biomedical Eng.Technologist to be specific. Total points=75 (Point Break-up : Age=30,Graduation=15, Australian Master’s = 5, PTE = 20, NAATI CCL = 5). Had 70 points in October’18, Jumped to 75 points on 12/01/2019. When do you think i am going to get Invite. My 485 is finishing on 15/10/2019. Any suggestion/recommendation will be appreciated. There is a wait of about 4-5 months for your job code with 75 points. Thanks for such a prompt reply. Do you reckon if it is the right time i should start looking for other alternatives for getting my visa extended considering on the fact that its expiring on 15/10/19. One more question – If i get invitation for 190 from any state, will this ruin my chances of getting 189 invitation. P.S. I have only chosen NSW (for subclass190) in my EOI. But looks no luck there as well. Should i choose options for other states in EOI as well, but not really interested in staying in other states. Any practical suggestions. I am getting bit furious. ACS recommended another ANZSCO code for me, different from what i applied for. i applied for 263111 – Computer Network & Systems Engineer, while ACS is recommending 263212 – ICT Support Engineer. Your question about ACS recommending different job code than what you chose has been added to our forum as it was out of scope of this article. I’m working for Dell as a Sales Account Manager. I see that job code “225213” is listed for ICT Sales rep. If i consider that, then im getting points of 75. I’m really looking for a work permit or PR. What would you suggest? Its your choice what you want to do. 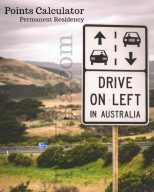 Work permit only allows you to stay in Australia temporarily. PR allows you to stay and work in Australia indefinitely.